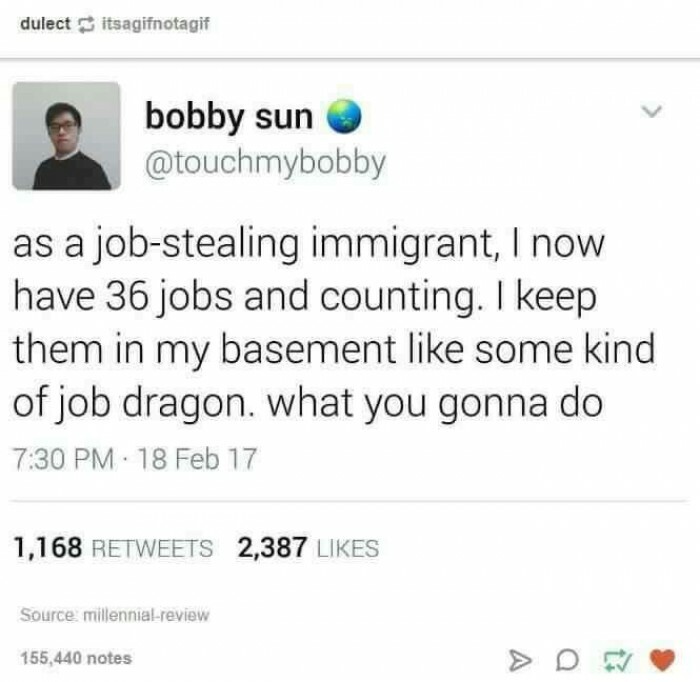 As a job-stealing immigrant, I now have 36 jobs and counting. I keep them in my basement like some kind of job dragon. What you gonna do..